The Canadian Coalition for Nuclear Responsibility (CCNR) finds the Environmental Impact Statement (EIS) submitted to the Canadian Nuclear Safety Commission (CNSC) by Canadian Nuclear Laboratories (CNL) completely unacceptable, not just in terms of the fine details, but in its fundamental concept. We urge CNSC to reject this EIS. The Near Surface Disposal Facility (NSDF) project is presented not as a temporary, interim storage facility but as a permanent repository that will ultimately be abandoned. We are dealing with a potentially infinite time horizon. The proponent seeks approval not just for a few decades, but forever. Such permission has never before been granted for post-fission radioactive wastes in Canada, nor should it be granted. Long-lived radioactive waste should not be abandoned, especially not on the surface beside a major body of water. That is the considered opinion of the Canadian Coalition for Nuclear Responsibility. 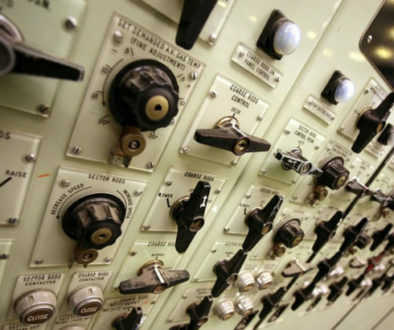 The Canadian Nuclear Safety Commission (CNSC) describes itself as an agency that is “science-based”. As such, CNSC must be aware that there are no principals of science that can be invoked to guarantee that a gigantic mound of radioactive waste and radioactively contaminated materials, located on the surface in a marshy area close to Perch Lake, less than a kilometre from the Ottawa River, in a seismically active region, can be counted on to remain intact forever. There is no scientific justification for accepting this misleadingly named Near Surface Disposal Facility (NSDF) as a permanent repository for long-lived radioactive waste. Nuclear reactors require large quantities of water to remove the heat generated by the fissioning of uranium atoms. Consequently these reactors are normally sited beside lakes and rivers. However such sites are not suitable for the long-term storage of nuclear wastes. This is so not only because of the danger of radioactive contamination of drinking water but also because water is the most efficient vehicle for spreading contamination widely. “1. No Abandonment: Radioactive waste materials are damaging to living things. Many of these materials remain dangerous for tens of thousands of years or even longer. They must be kept out of the food we eat, the water we drink, the air we breathe, and the land we live on for many generations to come. The forces of Mother Earth are powerful and unpredictable and no human-made structures can be counted on to resist those forces forever. Such dangerous materials cannot be abandoned and forgotten. “2. 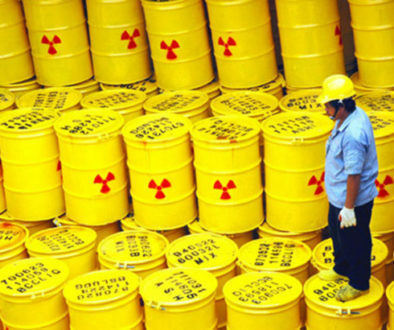 Monitored and Retrievable Storage: Continuous guardianship of nuclear waste material is needed. This means long-term monitoring and retrievable storage. Information and resources must be passed on from one generation to the next so that our grandchildren’s grandchildren will be able to detect any signs of leakage of radioactive waste materials and protect themselves. They need to know how to fix such leaks as soon as they happen. “3. Better Containment, More Packaging: Cost and profit must never be the basis for long- term radioactive waste management. Paying a higher price for better containment today will help prevent much greater costs in the future when containment fails. Such failure will include irreparable environmental damage and radiation-induced diseases. The right kinds of packaging should be designed to make it easier to monitor, retrieve, and repackage insecure portions of the waste inventory as needed, for centuries to come. “4. Away from Major Water Bodies: Rivers and lakes are the blood and the lungs of Mother Earth. When we contaminate our waterways, we are poisoning life itself. That is why radioactive waste must not be stored beside major water bodies for the long-term. Yet this is exactly what is being planned at five locations in Canada: Kincardine on Lake Huron, Port Hope near Lake Ontario, Pinawa beside the Winnipeg River, and Chalk River and Rolphton beside the Ottawa River. The EIS does absolutely nothing to address the very long-term implications of the project. For example, the NSDF is intended to house approximately 1000 tonnes of uranium-238, a primordial radioactive element with a half-life of 4.5 billion years. As time goes by, the disintegration of uranium-238 atoms creates a dozen other radioactive “decay products”, all of them much more radiotoxic than uranium-238 itself. Thus the uranium-238 “family” becomes increasingly more radioactive, not less radioactive, as the centuries tick by. In the first year alone the radioactivity from uranium-238 in the NSDF will just about triple, due to the inbreeding of thorium-234 and protactinium-234. The total radioactivity of the uranium-238 family will continue to increase until it ends up being more than seven times as radioactive as the original uranium-238. The amount of radon gas generated inside the NSDF will steadily increase, year after year, virtually forever, as will the radium-226 content. In fact the NSDF facility will eventually hold the radioactive equivalent of 500,000 tonnes of Elliot Lake uranium tailings, just due to the uranium-238 family alone. As another example, the plutonium-239 in the NSDF (estimated in the EIS at 2 trillion becquerels) has a half-life of 24,000 years, but when plutonium-239 disintegrates it turns into another radioactive element with a half-life of 704 million years. None of these very long-term considerations are even mentioned in the EIS, which is focussed only on short-term concerns. Even cesium-137, with its relatively short 30-year half-life, will only be reduced by a factor of 1000 after 300 years, so that the initial loading of 500 quadrllion becquerels of cesium-137 is reduced to 500 trillion becquerels after three centuries. That is by no means an insignificant amount of radioactive cesium. 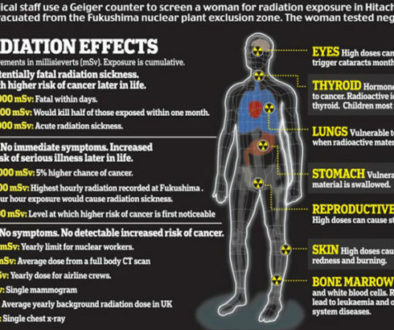 The EIS provides no explanation whatsoever about what radioactivity is or how it can cause biological harm. In response to questions from the Algonquins of Pikwakanagan CCNR prepared a document to try to explain some of these basic concepts [see http://ccnr.org/Pikwakanagan-3.pdf ]. Unfortunately CNSC does not provide such information, nor does it require its licensees to provide such information, even though knowledge of this kind is of fundamental importance to understanding the importance of proper containment of radionuclides. The Age of Nuclear Power is on the decline in North America and Western Europe, but the Age of Nuclear Waste is just beginning. It is quite likely that neither AECL nor CNSC nor CNL will exist in 100 or 200 years, but the nuclear waste will still be here and will require on-going monitoring and maintenance. Future generations must be endowed with the necessary knowledge, resources, organizational tools and authority to look after these dangerous materials for the indefinite future. The EIS does not even address this question. The proponent is a private entity. CNL is owned by a consortium of five multinational corporations, operating under a time-limited contract overseen by a vastly diminished crown corporation, Atomic Energy of Canada Limited (AECL). However the wastes are owned by the Government of Canada through AECL. CCNR finds it unacceptable that CNL, a private contractor, should be accepted as the proponent for this project. The consortium cannot be held accountable for the performance of the facility over the very long-term. However, the radioactive mounds at Port Hope and Port Granby, far from representing a “gold standard” for the long-term management of radioactive waste, are more in the nature of a “booby prize”. It became public knowledge in 1975 that homes, schools, ravines, roadways and even the downtown harbor in Port Hope had been contaminated with radioactive wastes left over from uranium processing. The regulator at that time, the Atomic Energy Control Board, was notified ten years earlier that serious contamination problems existed at Port Hope, but did not make that knowledge public. Only now, decades after the problem was first identified, is the largest and most expensive municipal environmental cleanup in Canada history underway in Port Hope. The original idea, back in the 1980s, was to move the radioactive wastes far away from Lake Ontario and from Port Hope, to a site with a more dependable underlying geology. A federal agency, the Siting Task Force, spent eight years and millions of dollars searching for a “willing host community” somewhere in Ontario, to accept the Port Hope and Port Granby radioactive wastes for permanent underground disposal. But the Task Force came up empty-handed; hence the mounds – a much less satisfactory backup management approach. By the way, these mounds in Eastern Ontario are not promoted as permanent repositories, but as storage facilities that can provide security for a few centuries. The mounds are not a solution, but an improvement to an existing deplorable situation. The incredibly complex and messy radioactive contamination at the Chalk River site has gone largely ignored for almost 70 years – [see http://ccnr.org/crl_sacrifice.pdf ]. Now, within the span of a few years, we have the prospect of foreign companies making profits at Canadian taxpayer expense by building a “quick and dirty” gigantic mound of radioactive waste that will be difficult or impossible to remediate when it starts falling apart. The mound would include fission products like cesium-137, strontium-90, and iodine-129, transuranic actinides like plutonium, neptunium and americium, and activation products like tritium, nickel-59 and carbon-14, along with 14 tons of asbestos and lots of toxic chemicals, in a hopelessly entangled mix that will be poorly characterized and impossibly difficult for future generations to try to deal with. For the CNSC to approve such a proposal will send a terrible signal to the rest of the world. Imagine if everyone starts abandoning their radioactive wastes and other toxic wastes in large mounds right beside major bodies of water, all over the world. A viable, more responsible alternative approach would require more modular packaging with painstakingdocumentation listing the radioactive inventory of each package. When a package starts leaking, our descendants will be able to identify the offending package, ascertain its contents, and repackage the contents in a more secure fashion. It must be considered as an intergenerational responsibility, not a “one-shot deal”. And the planning must include the principle of “Rolling Stewardship” as an active and essential aspect of the long-term management of radioactive wastes.